Home to an 11k trail run series, these Eagle Trails are also a popular mountain biking spot, accessible right from the center of Eagle. The trail start with a steady climb, but the views are incredible. 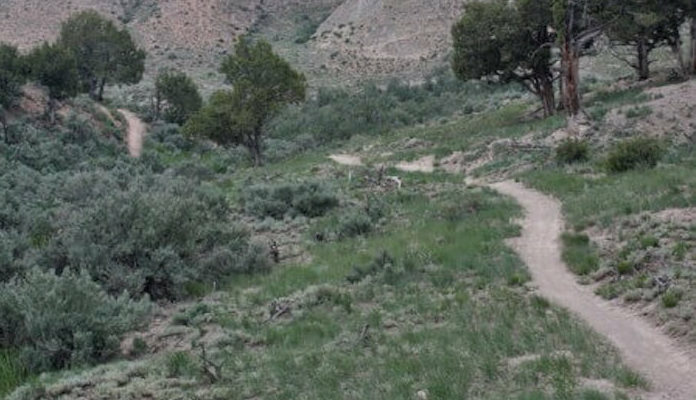 Many trail runners choose to do an out and back on either trail, but you can also connect them in a loop using some of the streets near Bluffs Drive and Brush Creek Road. A full circuit is about 6 miles. Parking is somewhat limited at the Boneyard Trailhead, but there is ample parking at the Ice Rink.